Frank Rosaly visits the Bay area from Chicago and performs in various combinations with Aram Shelton, Larry Ochs, and Jordan Glenn. Utilizing and expanding the now-classic saxophone drum duet, over the course of the night they’ll perform improvisations in duo, trio and quartet format. Rosaly is a unique talent, performing regularly throughout the U.S. and Europe with recent performances including collaborations with Bobby Bradford, Frode Gjerstad, Jeff Parker, Thurston Moore, Peter Brotzmann, Tony Malaby, Roscoe Mitchell, Anthony Coleman, Paul Flaherty, Marshall Allen, Louis Moholo, Nels Cline, Eric Boeren, Ken Vandermark, Michael Zerang, Walter Weirbos, Joan of Arc, White/Light, Fennesz, David Daniell, Doug McCombs, Michael Attias, Michael Moore, Jaap Blonk and Colin Stetson, among many others. Frank Rosaly (Francisco Javier Rosaly Amoros Rosello – b. 5/30/74 Phoenix, AZ) is a drummer and composer living in Chicago. He has been involved in the improvised and experimental music community since 2001 where he has become an integral part of Chicago’s musical fabric, navigating a fine line between the vibrant improvised music, experimental, rock and jazz communities. He contributes much of his time to performing, composing, teaching, as well as organizing musical events, while also touring regularly domestically and internationally. Rosaly performs regularly throughout the U.S. and Europe with recent performances including collaborations with Bobby Bradford, Frode Gjerstad, Jeff Parker, Thurston Moore, Peter Brotzmann, Tony Malaby, Roscoe Mitchell, Anthony Coleman, Paul Flaherty, Marshall Allen, Louis Moholo, Nels Cline, Eric Boeren, Ken Vandermark, Michael Zerang, Walter Weirbos, Joan of Arc, White/Light, Fennesz, David Daniell, Doug McCombs, Michael Attias, Michael Moore, Jaap Blonk and Colin Stetson, among many others. Aram Shelton is a saxophonist, clarinetist, improviser and composer. Originally from southeast Florida, Shelton currently lives in Oakland, California. In Oakland the projects Sound Quartet, Tonal Masher, Broken Trap Ensemble, and Ton Trio II represent his music. He is connected to Chicago (where he lived from 1999 to 2005) through his Quartet, the cooperative sextet Fast Citizens (Delmark), and Jason Adasiewicz’ Rolldown (Cuneiform). He has performed in the United States, Canada and Europe including appearances at the Monterey Jazz Festival, Chicago Jazz Festival, the Suoni per il Popolo Festival in Montreal, and the Krakow Autumn Jazz Festival. He has led workshops at the Evergreen State College, the Luzern Jazz School, through NEXMAP and at UC Santa Cruz. His playing and music are available through Delmark, Clean Feed, Cuneiform, 482 Music, Locust Music, MultiKulti, Edgetone, and his own Singlespeed Music. Jordan Glenn spent his formative years in Oregon drawing cartoons, taking dance classes from his aunt, and putting on plays with his sisters. As he got older he began making movies with his friends and studying jazz, classical, and rock music. 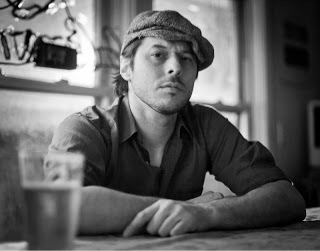 In 2003 Glenn received a bachelor’s degree in Jazz Studies from the University of Oregon. In 2006 he relocated to the Bay Area, received a masters degree from Mills College and since has worked closely with Fred Frith, William Winant, Zeena Parkins, Roscoe Mitchell, Ben Goldberg, Todd Sickafoose, John Schott, Dominique Leone, Aaron Novik, Darren Johnston, Aram Shelton, Cory Wright, Lisa Mezzacappa, Karl Evangelista, Michael Coleman and the bands Jack O’ The Clock, Arts & Sciences, 20 Minute Loop, Beep!, tUnE-yArDs, and the Oakland Active Orchestra. He also leads and conducts the project Mindless Thing, a collaboration with poet/free-jazzer/sage Jim Ryan, as well as the long standing trio Wiener Kids and the ten piece expansion, The Wiener Kids Family Band. In his thirty-plus years in Rova, Larry Ochs has created roughly two dozen compositions for saxophone quartet as well as other pieces for Rova in extended ensembles, many of which are recorded, and some of which were commissioned by Chamber Music America/Doris Duke Foundation and Meet the Composer. He has been acting executive director of Rova:Arts since 1987. In addition Ochs currently composes for and leads Larry Ochs Sax & Drumming Core (with Scott Amendola, Don Robinson, Satoko Fujii, and Natsuki Tamura [Stone Shift, CD]) and Kihnoua with vocalist Dohee Lee, Scott Amendola and special guests [the Sybil’s Whisper, 2012 CD]). He is performing in collective bands: East-West Ensemble (with Didier Petit, Sylvain Kassap, Miya Masaoka, Xu Fengxia), Jones Jones (with Mark Dresser and Vladimir Tarasov), Maybe Monday (with Masaoka and Fred Frith), Shelton-Ochs Quartet (with Aram Shelton, Kjell Nordeson and Scott Walton). Details on tours and recordings, and several interviews at www.ochs.cc.